Work goes on at FC Barcelona. 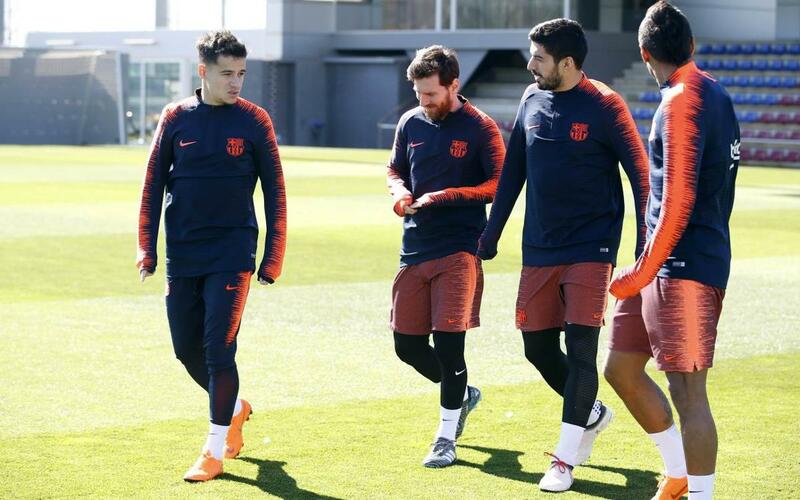 The twelve first team players that are not involved in Wednesday evening’s Catalan Super Cup match against Espanyol trained as usual at the Ciutat Esportiva Joan Gamper with an eye on Saturday’s trip to Malaga (8.45pm CET). Those players are Marc-André ter Stegen, Gerard Piqué, Ivan Rakitic, Sergio Busquets, Luis Suárez, Leo Messi, Philippe Coutinho, Paulinho, Jordi Alba, Sergi Roberto, Samuel Umtiti and Thomas Vermaelen. Eight first team players plus twelve from Barça B will be in action this evening at 6.45pm CET in a game that you can watch live. In the meantime, Andrés Iniesta has continued his recovery from a hamstring problem sustained against Atlético Madrid on Sunday, when he was replaced by André Gomes after 36 minutes. His availability for future matches will depend on how things develop.